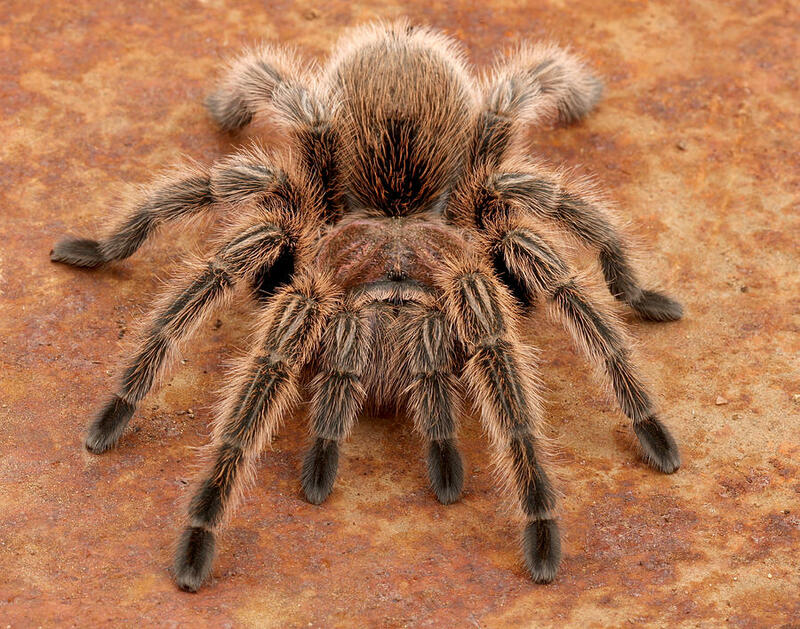 Chilean rose hair tarantulas are found in Bolivia, Argentina, and Chile. They prefer deserts and scrub land habitats. Like most desert animals they are nocturnal. During the day they will spend their time in shelters of moist, cool burrows, and venture out at night to search for prey or a potential mate. Their diet consists mostly of insects such as grasshoppers, beetles, and cockroaches. They are known to feed on small lizards and mammals when available. The Chilean rose hair tarantulas have an average leg span of 4-5 inches. Their color can range from grey, to pink, to reddish brown. There are two types of spiders: web spinners and wandering. Tarantulas are wandering so they do not spin a web and sit a wait; they have to look for their food. This also means that they have good eyesight for a spider. Predators of tarantulas are coatimundis, raccoon, and skunks. There biggest predator is the spider-hunting wasp. These wasps will invade a burrow and paralyses the spider and bring it back to its nest. Among all the tarantulas the Chilean rose hair are the most docile and even-tempered making them popular in the pet trade.